Wow! 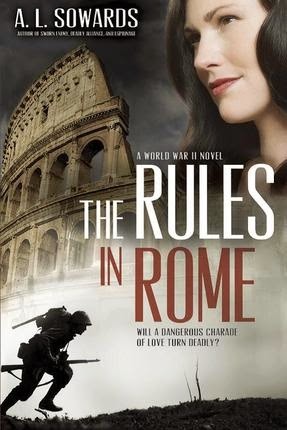 The Rules in Rome is an excellent WWII Romance! There is a lot more to it than romance (suspense, action, intrigue, etc. ), but I loved the romance. A.L. Sowards does a fantastic job writing historical fiction. I really enjoyed her characters. Gracie sounded like such a wonderful person. She has low self esteem (thanks to her mother), but she's decided to do what she can for her country. I liked how both of the main characters had been born in Europe, but at a young age had immigrated to the United States. The journey was very exciting and intense. I love how Sowards is able to depict the horrible war time situation without going over the top. I was very distraught when my review copy ended before the story was over. I wondered if this was part of a series with a cliff hanger ending. Thankfully, the rest of the story was sent to me (no cliff hangers), and I was very happy with how it ended. I found out that The Rules in Rome is a standalone novel, but the author has plans to write about Bastian's younger brother. Sowards is an excellent author. I'm excited to read anything else she writes. A.L. 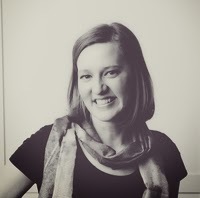 Sowards has always been fascinated by the 1940s, but she's grateful she didn't live back then. She doesn't think she could have written a novel on a typewriter, and no one would be able to read her handwriting if she wrote her books out longhand. She does, however, think they had the right idea when they rationed nylon and women went barelegged. Source: I received a copy from the publisher in exchange for a review.